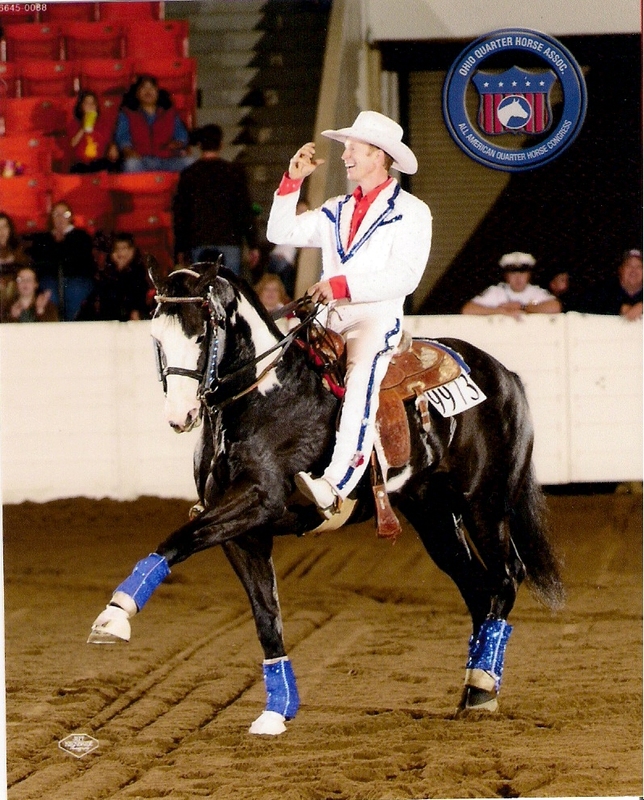 David Davis teaches and demonstrates his "Force Free Horse Training" method through Free Style Reining, Cowboy Dressage, Tandem and Roman Riding, Clinics, Seminars, Colt Starting and Trick Horse Performances nationwide. 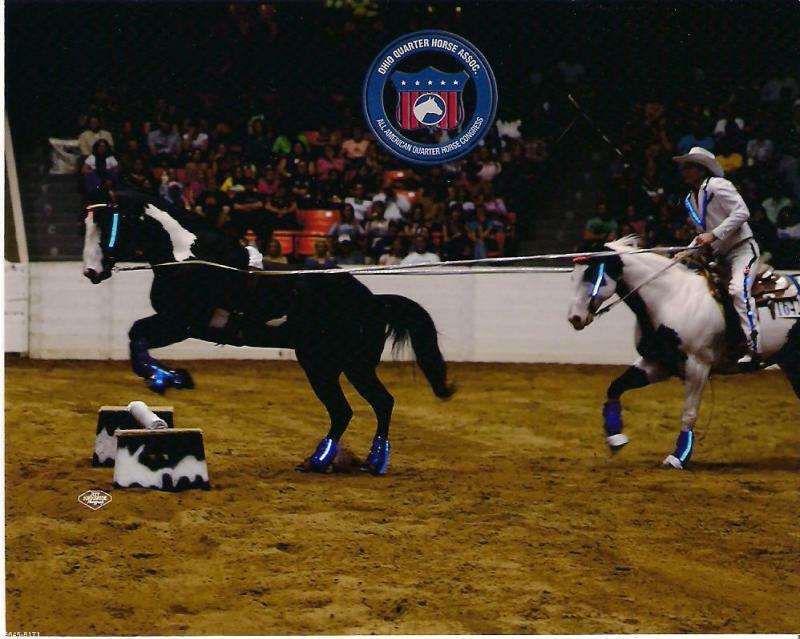 Dave and his Black and White Overos have performed at such prestigious events as Free Style Reining at the Quarter Horse Congress, AQHA, APHA, ApHC World Championships, NRHA Futurity, Horse Fairs in MI, VT, AZ, IA, OH, IL, WV, DE, IN, TN, Equitana USA, Mackinac Island, KY Horse Park, Ellis Park Race Track, Hoosier Park Race Track and Churchill Downs. David has won three World Championships in Reining. 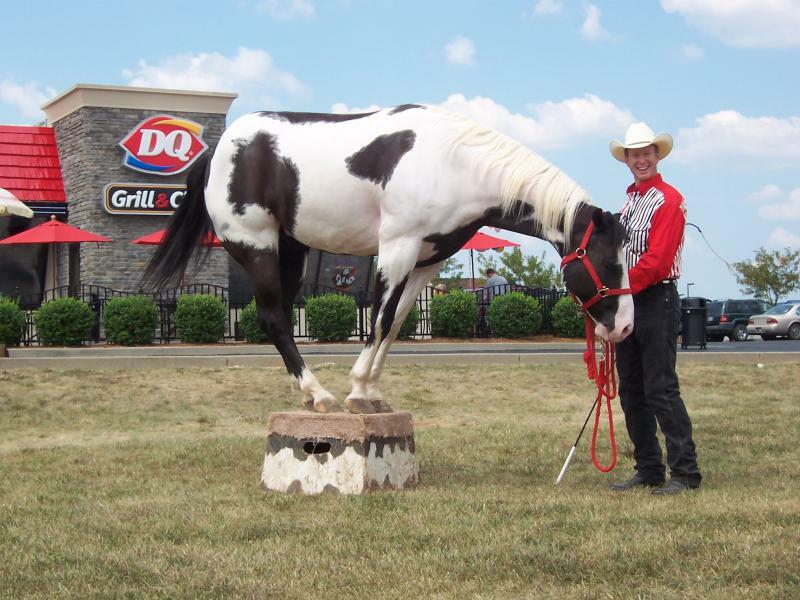 He has accumulated over 80 performance points in AQHA and APHA competitions. He is always willing to include ministry whenever possible. He can preach and sing on horseback, or on foot; presenting the Gospel message of the Lord Jesus Christ. His music includes Christian Country Style music that he wrote and recorded himself on his "God Given Dream" album and also Contemporary Christian music available on his newest album. Both albums are available at our products page. David enjoys teaching people how to interact with horses in ways that are safe and effective; resulting in positive experiences that lead to consistently excellent behavior. 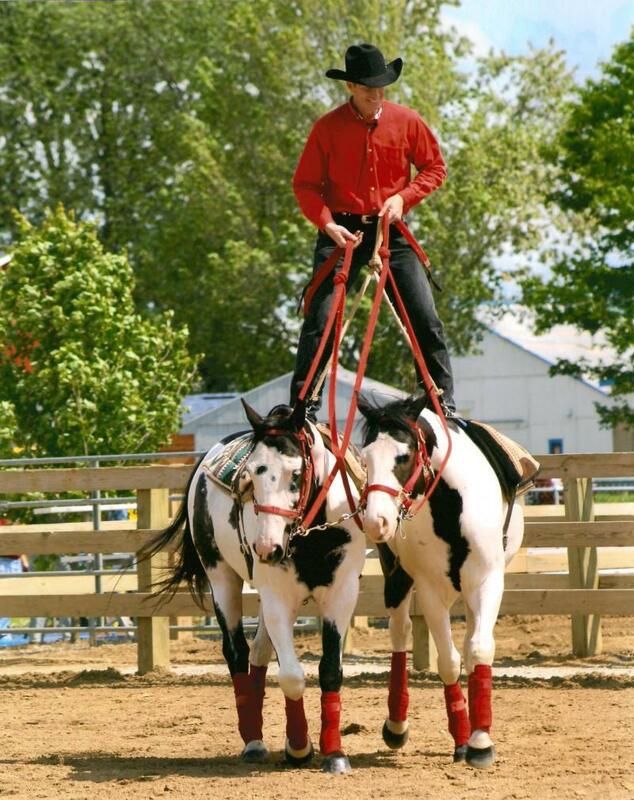 He uses exercises and maneuvers that are fun and easy to apply. They are available on video on the products page. 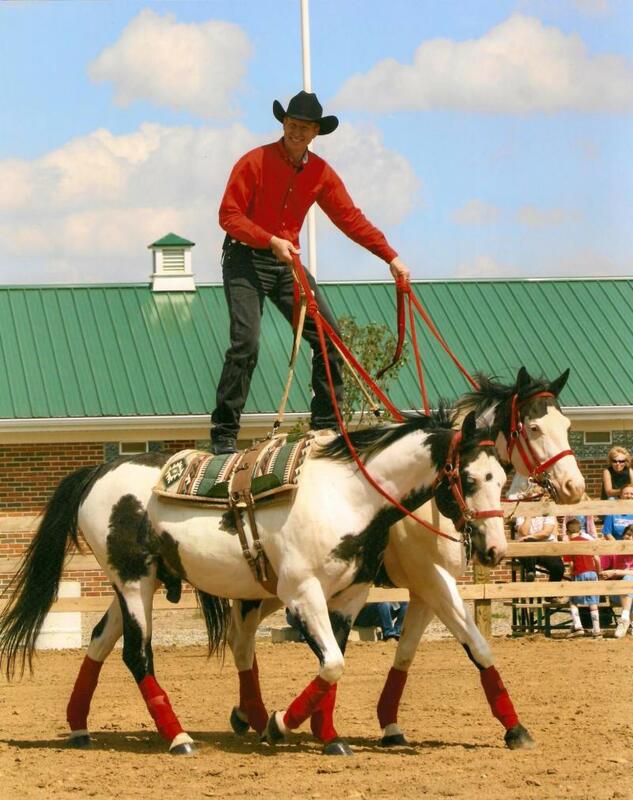 The principles of his "Force Free Horse Training" methods will help anyone that is interested in horses; whether their goals include enjoying time with horses for pleasure, or advanced levels of competition and difficult High Schooled maneuvers. To find out more about the Davis Ranch visit www.davisranchandministries.com. David is available to conduct clinics, seminars, and performances at your event. Contact us for booking details.